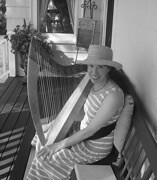 Lucy Joan Sollogub teaches dulcimer, guitar, harp, penny whistle, and recorder at Powers Music School. She received her Bachelor of Music degree and teaching certificate from University of Massachusetts, and completed additional studies at Northeastern University, University of Lowell, and Longy School of Music. Her publications include "Shiron L'Shalom," a source book of Jewish Music for Peace Education, and "A Dulcimer Portfolio," a collection of songs and tunes for the advancing dulcimer player. In addition to Powers, Lucy teaches at Community Music Center of Boston and in Boston Public Schools.